Have I mentioned I hate losing? Yeah... I wasn't happy. Jordan was nice to me, though. 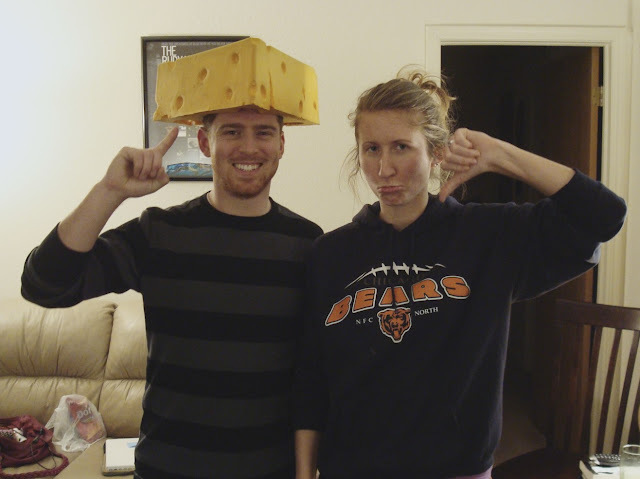 Plus, let's be honest--it's hard to be mad at someone who's wearing a cheese head. Disagree. As a Steelers fan I'd kind of like to make a grilled cheese right now. If it's any consolation, I was really hoping to meet the Bears in Dallas. Emma, glad you stopped by!